Add the cutter and buck shane argyle half zip to your wardrobe for an instant splash of style. 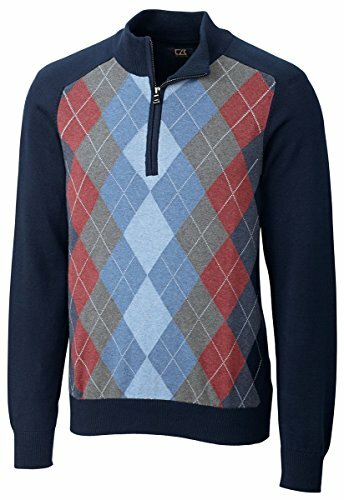 The classic argyle pattern is set against a 12 gauge jersey knit fabrication, to provide style plus comfort. The classic look features a 1x1 rib neck and collar trim, a double layer trim on the mock neck, cuffs, and hem, and finishes with a placket with rib facing.